Sparkman & Stephens has announced that Donald Tofias, of Newport, RI, has purchased the iconic yacht design and brokerage firm. Tofias will assume the role of President of the firm, having purchased 100% of the assets. 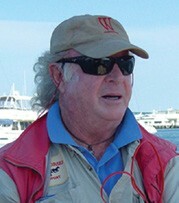 Tofias is a lifelong sailor and founder of the W-Class Yacht Company.